Need some cheap flights for this Summer and Fall for a vacation of business trip? We have the solution for you. 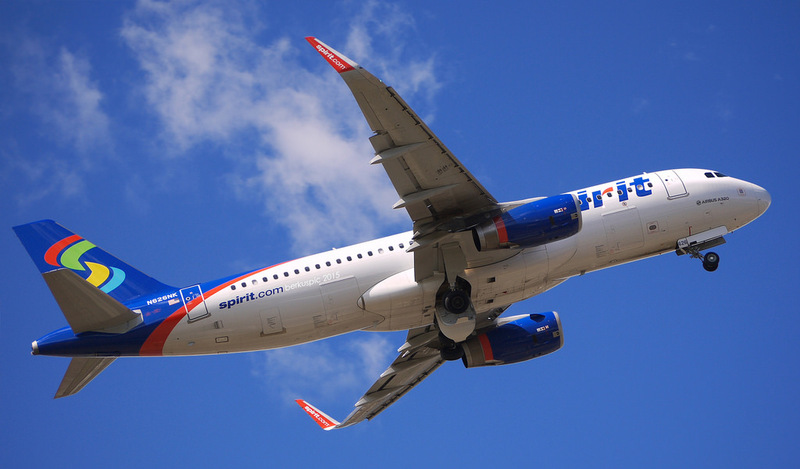 Our deal hunters have just discovered some very good domestic flights under $200 r/t with low cost airlines such as jetBlue Airways, Spirit Airlines or Southwest Airlines. Take a look and book until seats are sold out! 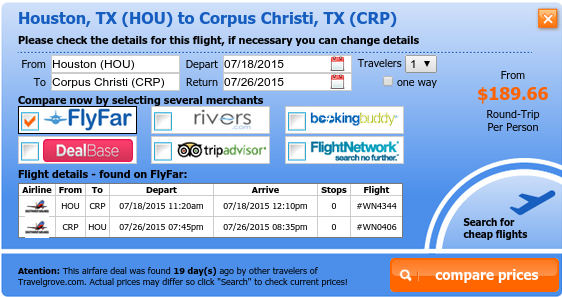 One of the cheap domestic flights we have found is a Houston to Corpus Christi airfare with Southwest Airlines. It departs from William P. Hobby Airport (HOU) on July 18 and will fly back from Corpus Christi International Airport (CRP) on July 26 2015. The flight is non-stop both ways. You can also choose to fly from Sacramento to Boise for just $175 r/t. Your plane would fly out of Sacramento International Airport (SMF) on July 27 and return on August 4 from Boise Airport (BOI). The flight is operated by Alaska Airlines and is non stop both ways. The Spirit Airlines airfare from Chicago to Myrtle Beach we have found costs $162 round trip. 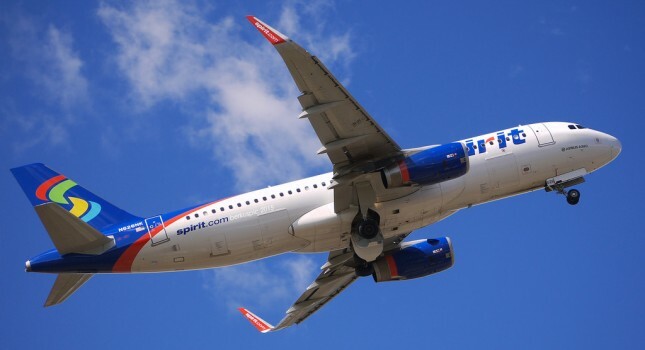 This non stop flight will start out of O’Hare International Airport (ORD) on July 8 and will fly back from Myrtle Beach International Airport (MYR) on July 22 2015. We have also dug up a really cheap fare from Atlanta to Indianapolis. It is a US Airways flight departing from Hartsfield – Jackson Atlanta International Airport (ATL) on September 22 and will come back from Indianapolis International Airport (IND) on October 6 2015. The flight has got one stop each way and costs $147 r/t. The United Airlines airfare we have below for $123 r/t is a non-stop flight from Chicago to New Orleans and back. It departs on October 13 2015 from O’Hare International Airport (ORD) and flies back on October 27 from Louis Armstrong New Orleans International Airport (MSY). You can also book a flight from Denver to Nashville in late summer for just $182 r/t. This time you would start out of Denver International Airport (DEN) on August 5 and fly back exactly one week later from Nashville International Airport (BNA). The flight is non-stop each way and is operated by Southwest Airlines. A smart traveler always double checks! Select some providers from below and compare their prices for your route and your preferred travel dates to make sure you have booked the best offer. This entry was posted on Wednesday, December 14th, 2011 at 7:36 am and is filed under Airfare Deals. You can follow any responses to this entry through the RSS 2.0 feed. You can leave a response, or trackback from your own site. Have to fly from Boston to Las Vegas in June. My dates are flexible, but I am on a budget. Can you help?